In 1990-1991 season Leeds United called a few meetings to outline plans for the disabled fans at Elland Road. They decided at these meetings to take away the season tickets for disabled fans. Stuart Ramm was at these meetings and thought that this wasn't right, so decided to do something about it. He approached Leeds United and asked that if a letter was produced, would they send it out with tickets. They agreed to do this and then the first L.U.D.O. meeting was called. The first meeting was held in the Fullerton Park Supporters Club where about fifty people attended. It was decided at this meeting that Stuart Ramm should take up the role of Chairperson as he was the person who had organized the meeting. A committee was voted into place. At this point the Supporters Club donated £20 so that L.U.D.O. could get started. Leeds United were again approached to see if they would work with L.U.D.O. as the voice of the disabled football fan. They were very much in favour of this and stated that if a constitution was in place then they would recognize them as the only voice of the disabled fans at Elland Road. This was done in January 1992 when L.U.D.O. was born. 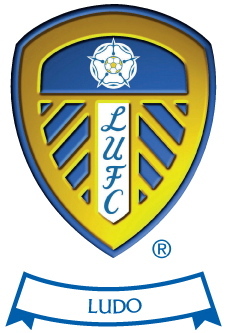 Leeds United, true to their word, involved L.U.D.O. in the discussions to improve the disabled areas. Stuart met with the project manager of the East Stand and that's how the newest area in the South West corner came about. The number of spaces available for disabled fans at Elland Road compared to how thing's used to be is down to all the hard work the committee members, at the time, did for the cause. The season ticket for disabled football fans was returned shortly after the new areas in the South West corner of the ground were finished. So when people wonder why L.U.D.O. exists you only have to look at the facilities that are in place at Elland Road and that question has been answered. At the AGM in 2006 members voted in favour of L.U.D.O. becoming a Regional Members Club.